Claire Plum has been a successful writer for more than 15 years. She is a columnist for a local magazine, publishes a small newspaper and is the author of a children's book series. There are many home remedies for insomnia, the inability to fall asleep or stay asleep for long periods of time. Honey and apple cider vinegar both have been used to treat insomnia. They can also be combined into an easy-to-make tonic that will help you get to sleep. Insomnia is a sleep disorder in which a person has trouble falling asleep or sleeping through the night. It can also cause someone to wake up several hours early and keep him awake. There are two types of insomnia: acute and chronic. Acute insomnia only lasts for a few days and is usually caused mostly by stress. Chronic insomnia lasts for a month or longer and is usually a secondary symptom of another problem. Honey has been thought of as a natural, healthy and side-effect free remedy for insomnia since the Ming Dynasty. Dr. Li Shizen named honey’s ability to help with sleep as one of its five medical properties. Much like sugar, honey causes a rise in insulin, which releases serotonin, a neurotransmitter that improves mood and happiness. The body converts serotonin into melatonin, a chemical compound that regulates the length and the quality of sleep. 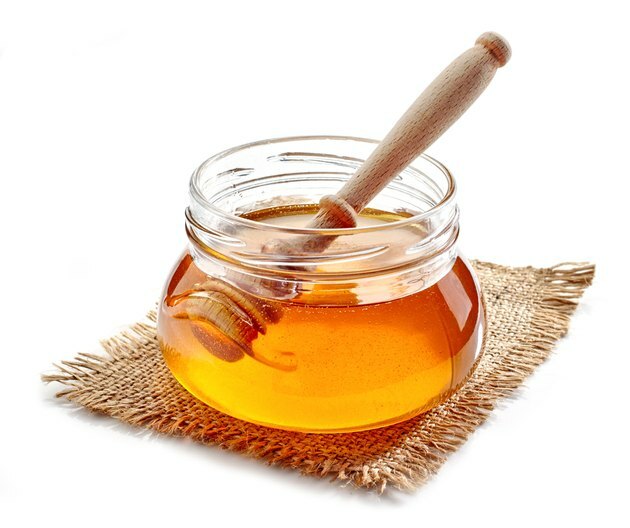 However, honey produces a gradual, more controlled release of insulin than sugar and avoids those sudden spikes and crashes of energy caused by pure cane sugar. Honey also contains omega-3 fatty acids, which research has found reduces fatigue. Like honey, vinegar has long been used as a remedy for insomnia. The ancient Greeks also used it as a disinfectant and antibiotic. Apple cider vinegar is used more often than regular white vinegar for the amino acids inside that help combat fatigue and for its better taste. As an acid, apple cider vinegar helps regulate digestion and break down fatty acids, and releases tryptophan. Tryptophan is an essential amino acid that regulates growth and synthesizes proteins. Tryptophan is not produced by the body and is absorbed through nutrients and food, and is the only substance the body can convert into serotonin. Cal Orey, author of "The Healing Powers of Vinegar," recommends combining 2 teaspoons of apple cider vinegar with honey as an effective tonic to treat insomnia. The mixture can either be taken with a spoon or mixed with water and consumed as a drink. This tonic is cheap, free of side effects and not habit forming.